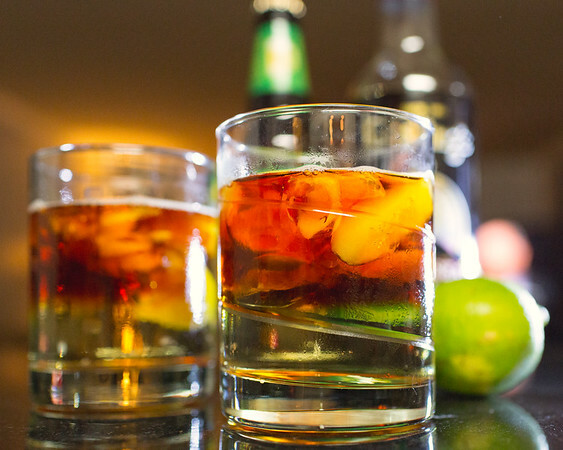 The Dark and Stormy Cocktail is a classic for a reason. Ginger beer and rum combine in this crazy simple and crazy delicious cocktail! 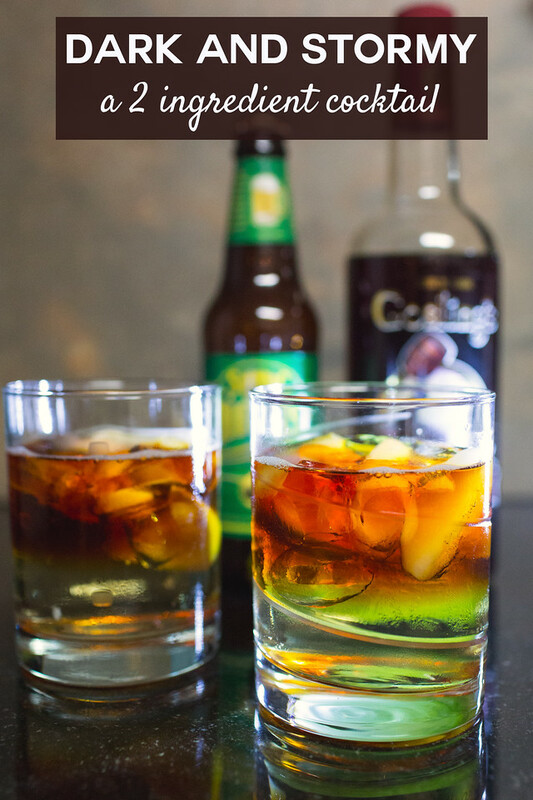 Click here to pin this Dark and Stormy Cocktail now! 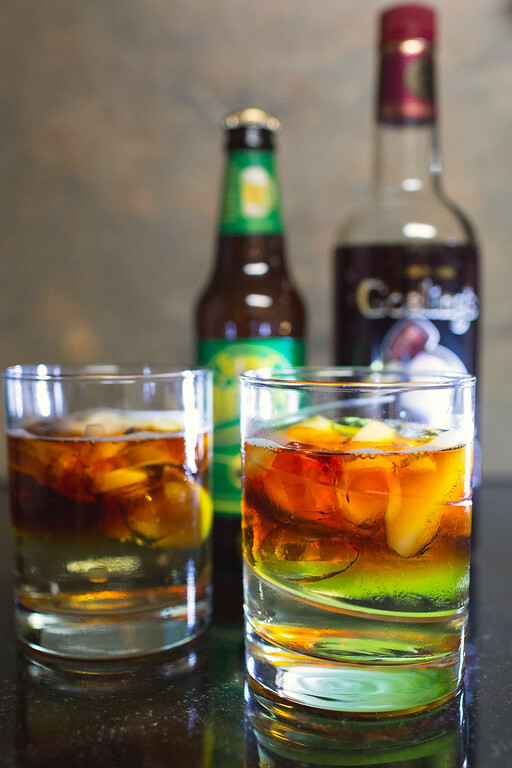 If you’re looking for an easy cocktail, it doesn’t get much easier than a Dark and Stormy. All you need are two ingredients and a lime wedge. The only tricky part of a dark and stormy is deciding your ratio between the ginger beer (I used my favorite – Saranac) and the dark rum. No one seems to agree, or rather everyone seems to agree to disagree. Chow gives a ration of 2 ounces of rum to 6 ounces of ginger beer. Rachael Ray gives a ration of 2 ounces of rum to 10 ounces of ginger beer! Michael Ruhlman gives a ratio of 3 ounces or rum to 3 ounces of ginger beer. This was classy, easy and very tasty! Since I always keep Ginger Beer and Rum in my liquor cabinet, I am always just minutes away from having this cocktail! Speaking of classic cocktails, one of my favorite cocktails books is The 12 Bottle Bar: A Dozen Bottles. Hundreds of Cocktails. A New Way to Drink. It walks you through creating classic cocktails with just a small stash. Of course, we are so far over 12 bottles, it’s not even funny! 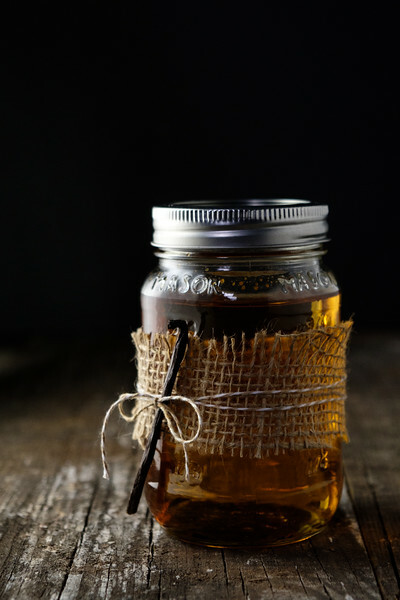 This Vanilla Infused Rum is so easy and it makes a great gift for cocktail loving friends! 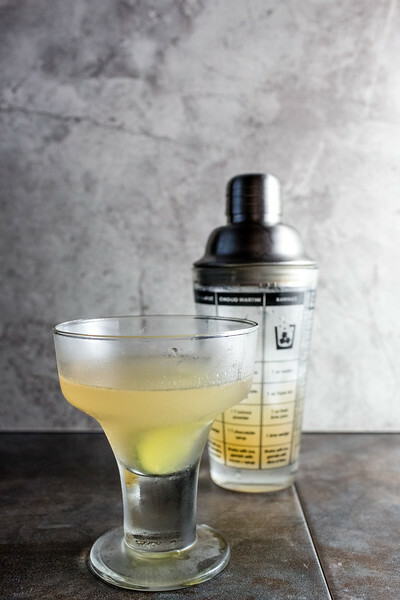 Another easy classic is the Hemingway Daiquiri! The Dark and Stormy is a classic cocktail for a reason! It tastes amazing and it only has two ingredients! Slowly pour dark rum on top to float. Stir when ready to drink. Love making cocktails. Especially when they are as delicious as they are easy to make. Must try this one. Easy is always good when it comes to cocktails! Ginger beer is a great mixer, and I imagine it goes perfectly with rum. I’m loving the name of this cocktail, I’ll have a dark and stormy please! Ginger beer is one of my favorite mixers! Great easy cocktail!! Definitely must try! A simple, yet delicious sounding cocktail. Just goes to show you don’t need to make a fuss for a good drink. I say YES to this cocktail! It is perfect for my Friday night happy hours with my hubs! Yes!! it’s so easy too!